Ranger Design’s van storage bins and shelving systems are unique in the industry. 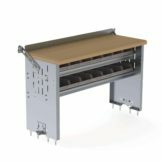 We’ve combined the strength and rigidity of aluminum extrusions with a laminated (solid substrate) shelf base; you get a shelf tray that is strong, quiet and very durable, and yet does not use up excessive payload. 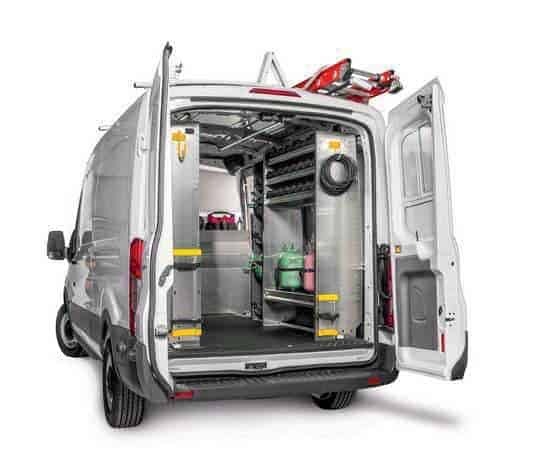 At Ranger Design we’ve learned from tradesmen that a properly upfitted van is the backbone of their business. To help them, we’ve created storage bins and shelving systems are unique in the industry. These van and truck storage bins are available in hundreds of different shelving configurations of height, length and shelf depth. 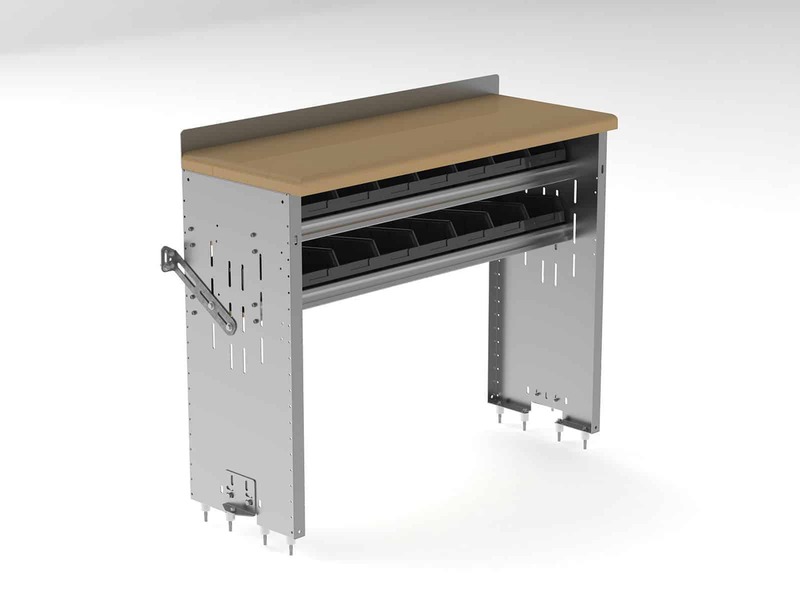 Use the product catalog to find the shelving units, bin units and Fold-Away shelving that are the perfect application for your next work vehicle. 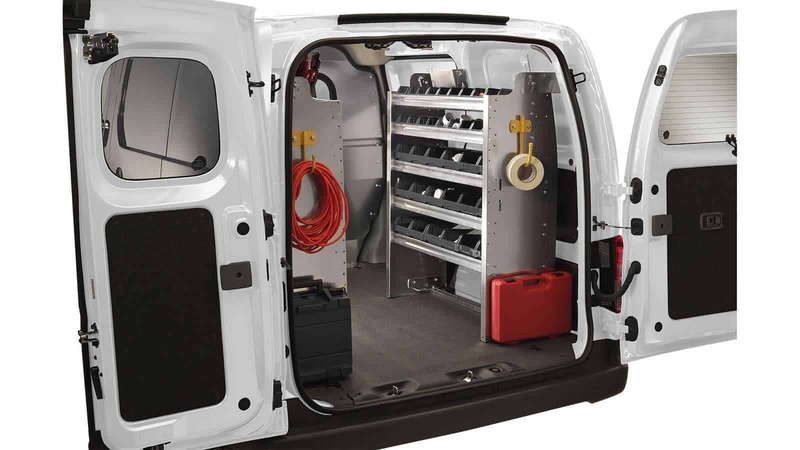 Ranger Design cargo van storage bins and shelves keep all your parts easily accessible, and in full view. Shelves are sloped back to avoid spillage of stock and include a complete outfit of durable bins. Featuring either steel (Fleetline Series) or aluminum (Proline Series) construction, we’ve got the storage bin system to fit your budget. 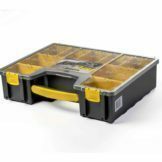 Why Ranger Design Storage Bin Systems Over Others? Easy Access – All your parts in full view and easily accessible. Unique Design – Shelves sloped back to prevent spillage of stock. 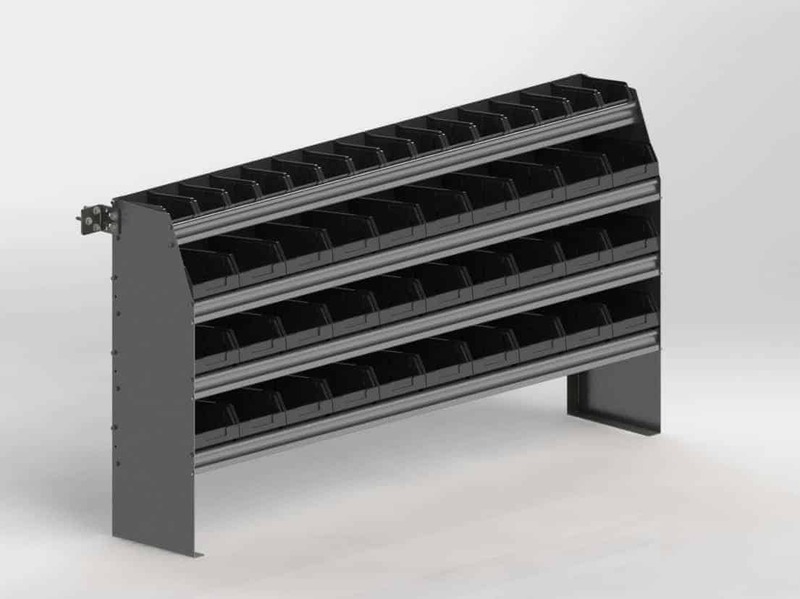 Quality – Units come complete with high quality plastic parts bins. Adaptability – Many models available for different applications. An organized approach to storage. Our most popular cube van or box truck storage bins system has seven rows of medium bins and stands 62-1/2 inches tall, and has a solid attachment system. These units (5100, 5700, 5900 Series) have an angled front to make your cargo van or box truck feel more spacious. We have many different configurations that come with four, five or six rows of bins. 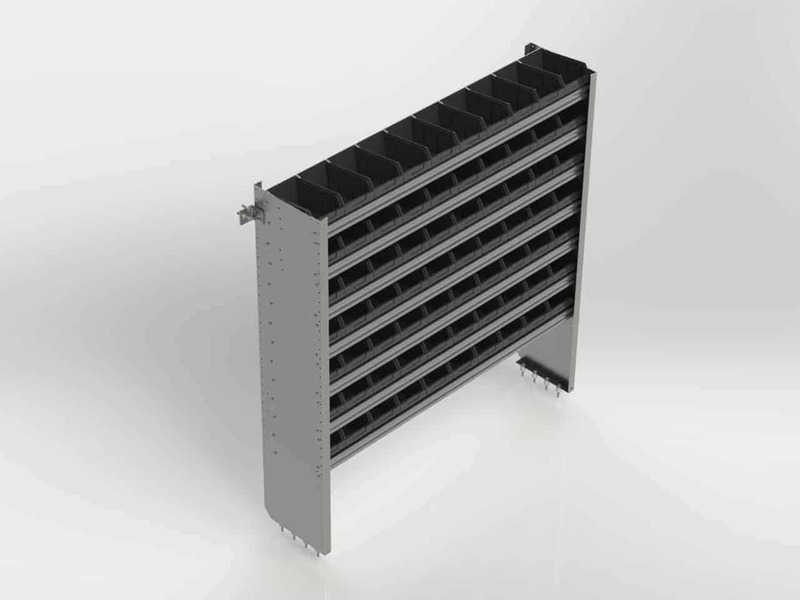 These units make ideal refrigerant racks with bins for vans (bottles or boxes in the vertical position). Can be used as a gas bottle or cylinder rack. Same great fit as our shelving units. Shelves come complete with high quality plastic bins. Models available for many applications . 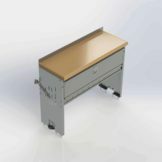 This heavy duty van workbench with a laminated hardwood top is great for locksmiths, servicemen and others who work in their van. Comes with two rows of medium plastic storage bins. 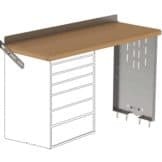 Other models available with one shelf and a door.